Just a little over a week ago, the Polish electorate chose a new national parliament. The conservative Law and Justice party (PiS) secured both the presidency and the majority of seats, with voting results marking the first time in Poland’s post-communist history that no left-wing parties were elected to the parliament. German press placed emphasis on the far-right and radical character of the Law and Justice party, speculating that it will not only strain ties with Germany, but also push Poland to a collision course with Brussels and other key EU allies. German sources also repeatedly highlighted the figure of J. Kaczynski, portraying him as an anti-German leader that wanted to rebuild the country in a religious order and transform Poland into an authoritarian state. On the other side of the Polish border, neighboring Lithuania also carefully followed changes in Poland’s political spectrum. Lithuanian media drew particular attention to predictions of how the newly elected conservative government would affect bilateral negotiations over a very sensitive minority issue in both countries and Lithuanian-Polish relations in general. Lithuanian media outlets often compared current PiS leader Jaroslaw Kaczynski to his twin brother and former Polish president, Lech Kaczynski, who died in a plane crash 5 years ago – but maintained warm and friendly relations with Lithuania. Moreover, Lithuanian media speculated that the new political forces in Poland will not only bring the Ukrainian crisis and relations with Russia back to EU agenda, but also cause unwanted confusion in the already divided Europe. During ongoing coverage, the PiS was labeled as ‘catholic’, ‘pro-religion’, ‘conservative’, ‘nationalistic’ and ‘eurosceptic’. Far less attention was devoted by Estonian media to the Polish parliamentary election and the pre-election campaigns. Nevertheless, the media portrayed election results as a historical change, referring to the fact that no centre-left or left-wing forces received enough votes to enter parliament. On the other hand, Delfi.ee pointed out some positive aspects in the recent political developments within Poland, suggesting that the PiS will implement a tax system similar to the Estonian one in order to help fill ’holes in [Polish] economy’. „PiS is flirting with racism, homophobia and anti-semitism“. Interestingly, the Estonian press reacted in a relatively positive way to changes in the Polish parliament, suggesting that, if the Civic Platform remained in power, things would have been even worse. Estonian and Lithuanian media both characterized the Law and Justice party as conservative rather than radical or eurosceptic. ERR speculated that initial radical declarations by PiS were just part of a fear-mongering strategy to win votes, adding that the political party will not stay eurosceptic in the future. Concerning Russian coverage of the political events in Poland, the media outlets were particularly interested in how the election results would affect Russian-Polish relations. Vesti.ru even remarked that, if the sanctions on Russia were lifted, there could be a possibility to normalize the relationship between Russia and Poland. Although Russian press portrayed the election results in context of the ongoing refugee crisis and Polish resistance to the European quota policy, it did not present the Law and Justice party as being far-right. Jaroslaw Kaczynski was depicted as a “Russophobe” – though not more-so than previous Polish leaders. His anti-German rhetoric received attention in Russian media, which also commented extensively on Germany’s hegemonic hold over EU politics. American media saw the Law and Justice party assume power on a wave of popular discontent over the standard of living in Poland. 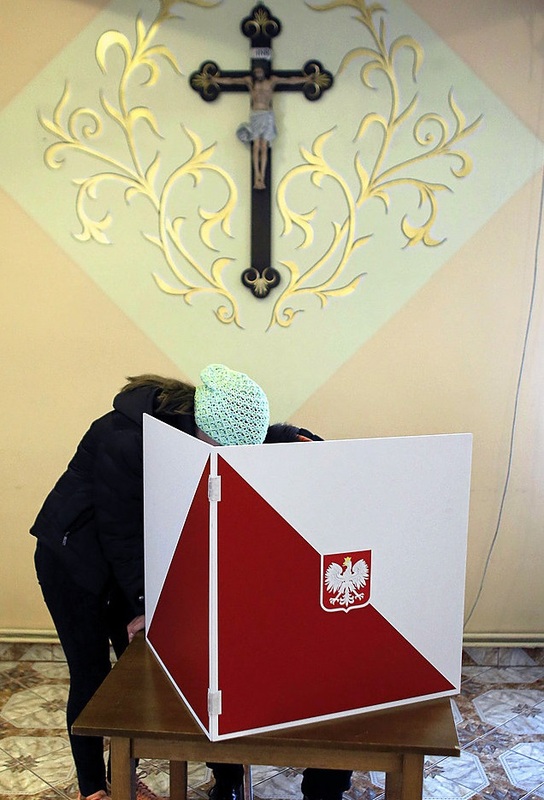 The Polish political process was said to have been defined by bread and butter issues such as the minimum wage, retirement age and public finance issues. Topics of immigration and refugee policies also regularly entered discussion, especially in the context of the newly elected Prime Minister Beata Szydlo and her opposition of refugee agenda set by the German-dominated bloc. American commentary on Poland’s migration outlook was framed against the background of the EU’s freedom of movement for millions of Polish citizens who work elsewhere in Europe.” But as a whole, election results were portrayed as part of the region’s rightward drift toward nationalism that was not uncommon in the seesaw of politics in the former Soviet states. ← The End of Merkel’s Irony?